Mrs. Anna M. Gallup, age 95, formerly of Mayfield, passed away peacefully Tuesday evening, September 11, 2018, at Wells Nursing Home, Johnstown. She was born April 28, 1923, in Mayfield, the daughter of the late Thomas and Edith Holden Davison. She was employed by Coleco Industries in both Mayfield and Amsterdam for many years. Anna was a member of the Mayfield United Methodist Church. 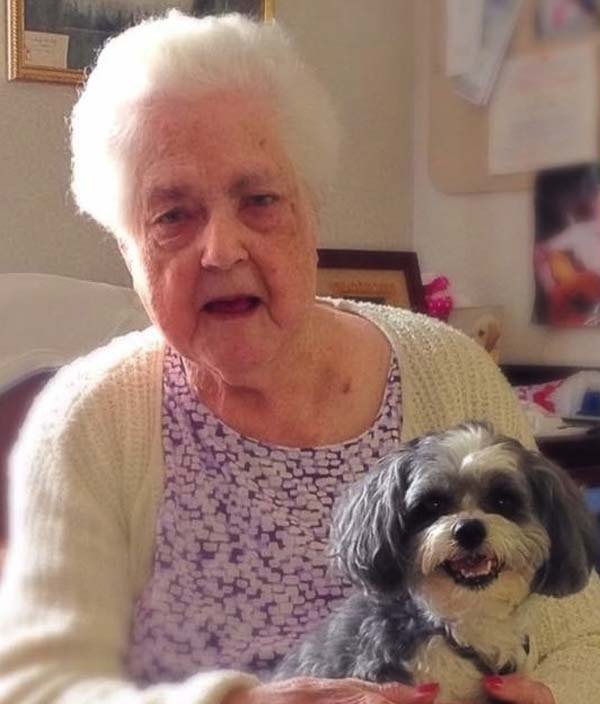 She was an avid New York Yankees fan and enjoyed knitting, crocheting and working at the Mayfield Thrift Store with her friends Betty and Emily. Most of all, she loved spending time with her children, grandchildren and great-grandchildren. She is survived by five children, Diane Wrobel (Gary), Deborah Williams, Dawn Laird (Bill), Darla Hine and Dan Gallup (Donna); a sister, Alice Benedict; her favorite pup, Cody; 11 grandchildren; 16 great-grandchildren; a great-great-grandson; several nieces, nephews and cousins. In addition to her parents, Anna was predeceased by her husband, Joseph B. Gallup; a son, Doug Gallup; five brothers and sisters, Ken Davison, Gene Davison, Harry Davison, Betty Lorey and Margaret Herdman; a great-granddaughter, Nora Hlavac; and sons-in-law, James Williams and David Hine. The family will receive relatives and friends from 4 to 6 p.m. Friday, September 14, at Walrath & Stewart Funeral Home, 51 Fremont St., Gloversville, where a funeral service will be held at 10 a.m. Saturday with the Rev. Bonnie Orth officiating. Interment will follow at Mayfield Union Rural Cemetery, Mayfield. Memorial contributions may be made in lieu of flowers to the Wells Nursing Home Activities Dept., 201 W. Madison Ave,, Johnstown, NY 12095 or to the charity of your choice.